Hellmann's Classics Blue Cheese Dressing is made with no artificial flavors and no high fructose corn syrup. 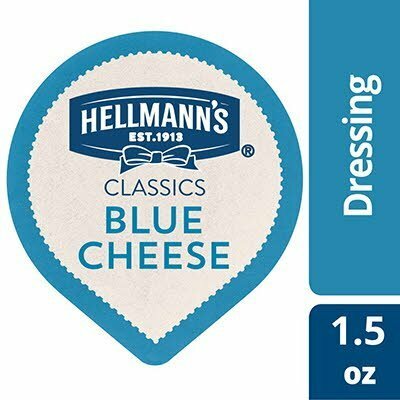 The Hellmann's brand is recognized throughout the world for unrivaled quality and flavor and its commitment to real, simple ingredients, like the real blue cheese found in this dressing. Hellmann's Classics Dressings offer premium quality with shelf-stable convenience.